Critical thinking includes the ability to read between the lines and validate what you read. There are many things on social media that aren't true but require the user to determine how to determine whether or not these posts are valid. Who is the author? Is the author credible? How do you know? 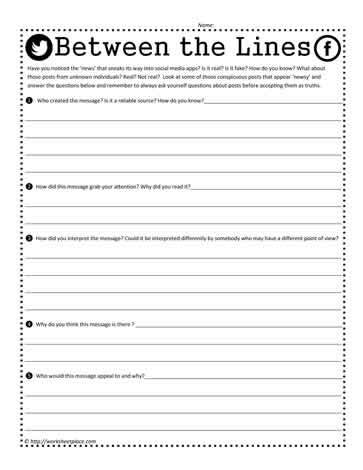 Great middle school social media worksheets.